With a stay at The Strand Hotel in Rome (Cinecitta), you'll be within a 15-minute drive of University of Rome Tor Vergata and Via Appia Nuova Shopping District. This hotel is 4.3 mi (6.9 km) from Colosseum and 4.3 mi (7 km) from Roman Forum. 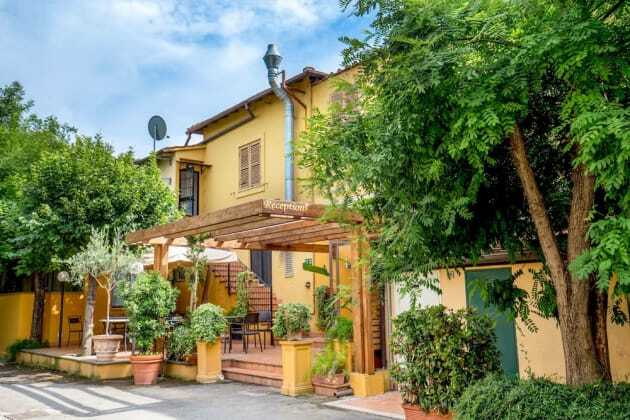 Located in Rome (Quartiere XI Portuense), Borgo Papareschi is a 4-minute walk from Teatro India and 10 minutes by foot from Ponte dell'Industria. This apartment is 1.2 mi (1.9 km) from Montemartini Museum and 1.6 mi (2.5 km) from Basilica of St. Paul Outside the Walls. With a stay at Crossroad Hotel in Rome (Ostiense), you'll be within a 10-minute drive of Circus Maximus and Colosseum. This property is 1.9 mi (3 km) from Roman Forum and 2.1 mi (3.4 km) from Piazza Venezia.